Make it feel like everyone’s together in the same room. 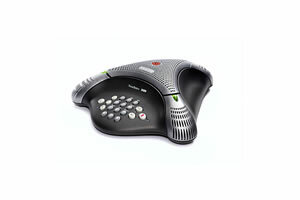 The Polycom conference phone collection is the standard because they deliver the clearest sound to every participant, in every location. Our advanced audio and teleconference technology allows each conference phone to intelligently adapt to different room environments. Now everyone can hear and be heard, even when more than one person talks at a time. You’ll eliminate confusion and enhance productivity. Not a single word—or opportunity—gets missed. Investment protection: Enjoy broad interoperability with both analog phones and today’s leading IP telephony platforms, including Broadsoft, Microsoft Lync and Skype for Business. 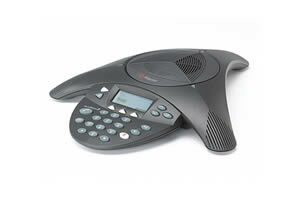 Specialized conference call equipment: Quickly and easily customize your systems to meet your specific needs. 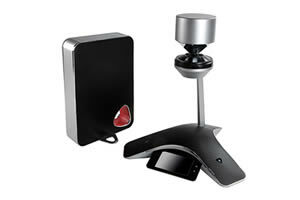 Audio innovations: Constant improvement and innovation help you continuously enhance your voice conferencing experience. 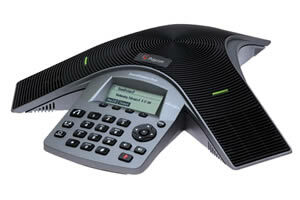 Analog Conference phones: The world’s best-selling models deployed on the global public switched telephone network (PSTN). Microsoft Conference phones: The only group conference call systems qualified for Skype for Business and Microsoft Lync deployments. 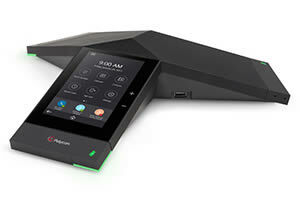 Polycom Trio 8800 is the conference phone reimagined. Marrying our legendary voice conferencing quality with the additional capabilities of personal content sharing and business-class video conferencing, Trio is a flexible conference phone that can be deployed anywhere, from huddle rooms to boardrooms. 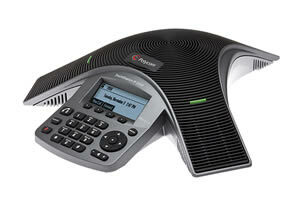 Polycom Trio 8500 – the new standard in conference call systems. 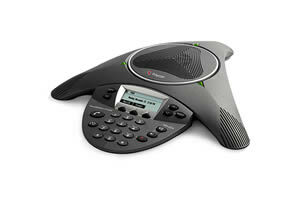 Polycom’s legendary audio quality and a modern intuitive interface make conference calling easier than ever. 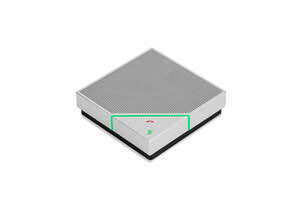 Trio 8500 offers the broadest interoperability of any device on the market giving you freedom to deploy on all leading voice platforms. 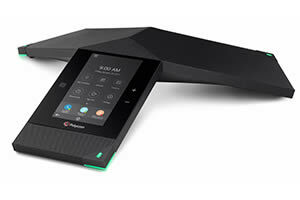 Whether your conference rooms use analog lines today or you’ve already migrated to Voice over IP (VoIP) telephony, the Polycom SoundStation Duo teleconference phone delivers exceptional deployment flexibility for small and midsize rooms. 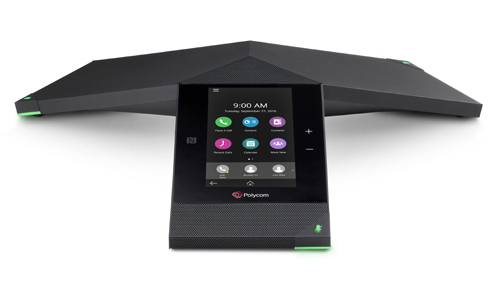 Polycom VoxBox sets a new standard when it comes to ultra-compact Bluetooth/USB speaker phones and performance, packing it with Polycom HD Voice and patented Polycom NoiseBlock technology. Give your mind and ears the quality they deserve—in offices, in huddle spaces, and wherever your travels may take you. 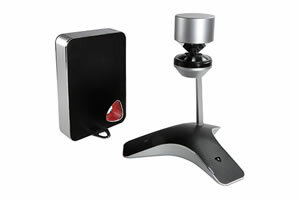 Skype for Business-certified USB video peripheral that produces engaging, unique 360-degree experience with HD active speaker tracking in 1080P. 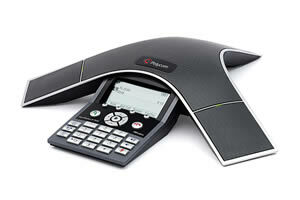 CX5500 also functions as a VoIP conference phone. Compare and contrast solutions for different rooms by feature and function.